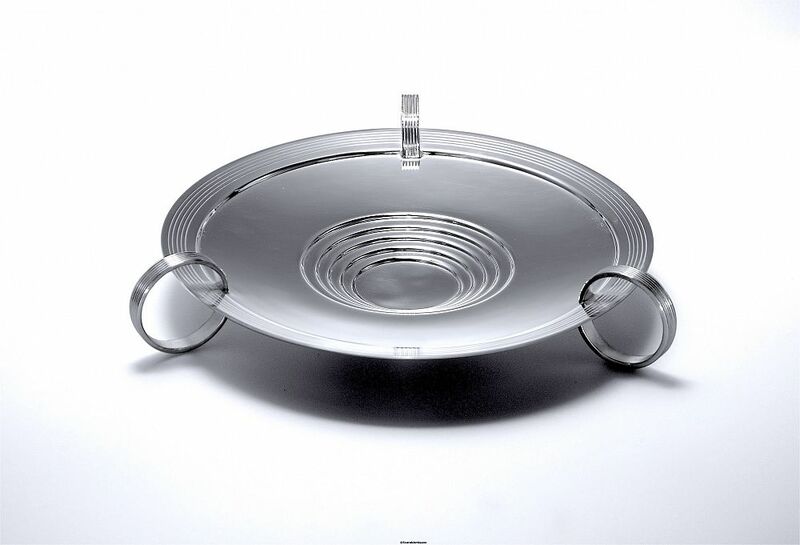 Running around the outer rim of this lovely silver plated Art Deco tazza are five incised rings. The slightly concave bowl has 3 stepped down tiers into the centre. There are three large incised loops/handles attached at equal intervals to the outer edge that run underneath the rim. The tazza has a round base. A great fruit stand (but not for acidic fruits) or bonbon dish for parties or just on its own as a decorative object. This tazza is not signed but the design is one used by Wlaker & Hall (see the similar item in our sold archive).